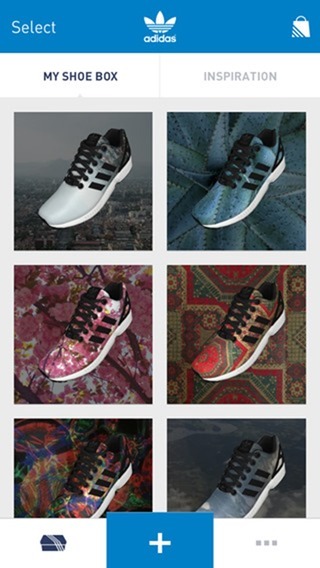 It’s not often that you get to make your own design and have it printed onto a pair of shoes, but that’s exactly what Adidas is making possible with the miZX Flux service. Originally announced earlier this year, the service is now live in the United States with select other countries set to also join in the fun at a later date including Austria, Belgium, Denmark, Finland, France, Germany, Ireland, Italy, the Netherlands, Spain, Sweden and the United Kingdom. 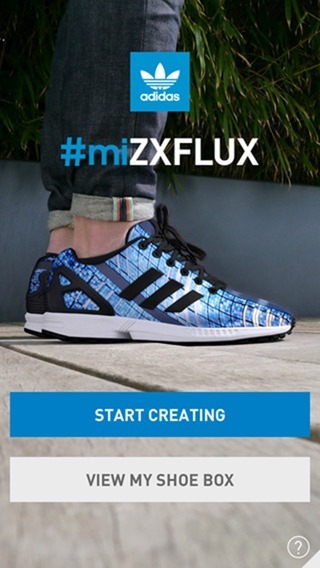 The miZX Flux is a printing service that uses a partner Android or iOS app to create and upload the photos that will eventually be turned into the final design and then printed onto a pair of Adidas shoes, with photos either being taken on the spot or uploaded via the device’s camera roll. The app then allows the designs to either be shared via the usual array of social networks or saved in the app for access at a later date. We doubt anyone will want to be re-ordering too many pairs of shoes using the same design though, because they’re not cheap at their starting price of $110. If you think you’re going to upload copyrighted material though, think again. Adidas has systems in place that checks all uploaded images for anything it’s likely to find itself in court over, so don’t bother trying. Photos of your cat playing a keyboard should be fine though. Or maybe a cat or a dog doing a backflip. You get the idea what you should be doing and should not be. 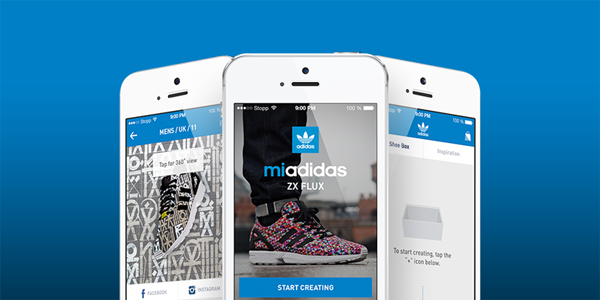 If you’ve always wanted to have your own custom designed pair of shoes then download the app and have a play – we’re sure Adidas would be only too happy to take your money. Like we mentioned above, the MiZX FLUX service isn’t cheap, and starts from $110. But however, the thing that’s free here is the app itself where you kick things off. Available on both iOS and Android, you can grab the app from the iTunes App Store and the Google Play Store right away. But remember, don’t even think about tossing copyrighted material at your new custom pair of sneakers.